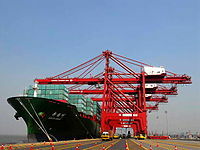 ↑ The biggest ports of India - Rediff.com Business. Business.rediff.com. अभिगमन तिथि: 10-01-2015.